Please order your signed copy now! If you would like a personal message inside please email your request. You can also order a copy by sending a cheque made payable to Jo Hampson, Castle Court, Shap, CA10 3LG. "...this book removes the mystery of smoking food and makes it easy and fun whether you are a novice or have some experience." That's what it says on the cover - and it's true! – Diana Henry, award-winning food writer, Sunday Telegraph food columnist. Jo Hampson and Georgina Perkins have been smoking food for many years. They owned a small well renowned artisan smokehouse that counted Fortnum and Mason, Selfridges, and Harvey Nichols among its customers. They also smoked privately for The Prince of Wales. 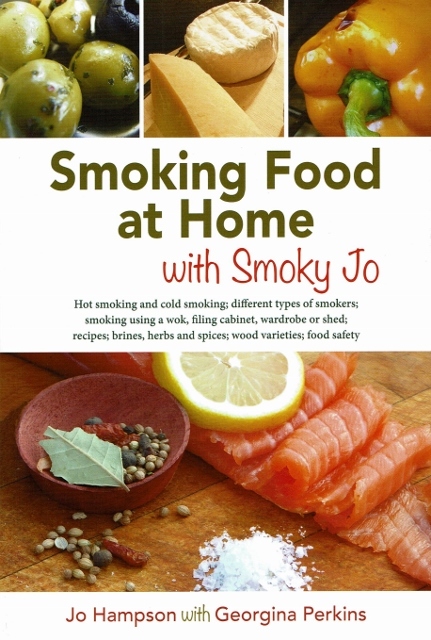 They now run the highly acclaimed food smoking school in Cumbria, Smoky Jo’s. Smoky Jo’s have been listed in the top 9 courses to do in Europe by The Lonely Planet Guide; in the Top Ten Cookery Courses in the UK by The Telegraph; in the Top Ten ‘Days Out for the Boys’ by The Times. Jo and Georgina also work as advisors on commercial food smoking and have worked with top food writers; have consulted on TV programmes and advised on factual books. They have also been featured on BBC’s The One Show, ITV’s This Morning and The Great British Taste Tour.